Leaving home and setting up shop somewhere new means something different for every person. Don’t let all the prep get in the way of understanding what needs to be packed to continue enjoying the comforts of home. Use this categorized checklist as a guide to understand what you should wear during your travels, what you should pack and what you can buy when you land. 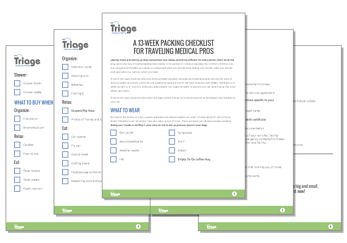 If you’re the type of person who packs the night before a huge move (every person on the planet) this checklist is your life.